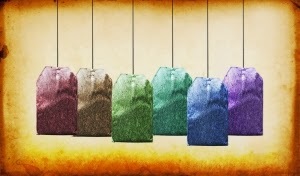 I have a sampler pack of tea, and I prefer peach passion or black cherry. Hazelnut coffee with cream, otherwise I like my coffee weak, half hot water/half coffee. I find if I don't write I get lazy, but the ideas are still there, so sometimes I write free verse poetry which often evolves into a personal essay. Finding freelance markets is difficult. Have a great week. I love any kind of coffee, especially lattes. I make my own at home and experiment with different flavors of syrups. I enjoy green tea and some of the flavored teas, but not black tea. Freelance creates loads of variety for my writing. It's one of the reasons that I enjoy work-for-hire projects. I try to write as I am led. The hard part is to not sound boring. I have to drink herb teas. I like just about all of them. I really like Earl Grey, Camomile,and Apple. I have some Pumpkin Spice a friend of mine gave me. I recently bought some Bedtime tea. Being a Brit I love my tea :) And I find that green tea works really well for me when I'm writing. I don't drink coffee, but herbal tea, like green tea, or hot water with a slice of lemon is lovely. I have found hibiscus tea to be quite pleasant and raspberry is also a fave. My favorite company is Celestial Seasonings. Thanks so much for stopping by the other day. Always a delight to see you. Hi Susan .. I had a Christmas selection of teas .. and those gave off an amazing aroma of Christmas cake spices - the flat smelt wonderful. I got hooked into rosehip and hibiscus ... delicious, red coloured with a touch of sharpness ..